It’s that time again – Fashion Friday Story promotion. We are focusing on being an American Dreamer. My father who is Hmong migrated here in the 1980’s from Laos. His family along with many other families were fleeing the Lao communist during the Vietnam War. Growing up he would always tell my sisters and I that we needed to focus on our educations so we can live the “American Dream”. He constantly instilled in us that having a good education is going to get us far in life. He wanted us to be able to have financial freedom so that we didn’t have to go through the hardship he had to endure. Along with instilling us with having a good career, he instilled in us the importance of family. He said no matter what life throws at you, your family will always be there. They are your backbone. They are the ones that you lean on when you hit rock bottom. Because of all the talks my father had with my sisters and I – I graduated school, got married and now working on having my own business. Today, I want to show to my daughter that by working hard, having dedication and reaching for her goals, she too can live her American Dream. To me the American Dream is full of ups and downs, hardships and fulfillment, sadness and laughter, all the while being true to yourself, true to who you are and what you stand for. It’s all about family and having a good career but most importantly it’s about how you live your American Dream!! My mother earned a college degree and spent a good portion of her late teens and early 20s seeing the world. She then married and stayed at home with her 6 children. During this time, she created several small businesses as her children grew up. Those businesses gave my mother some extra pocket money and personal fulfillment outside of her family responsibilities. 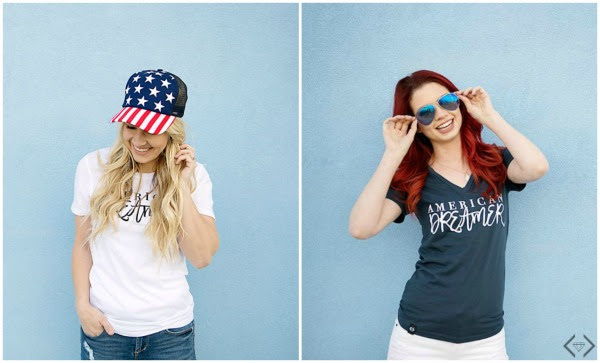 For Fashion Friday tomorrow, June 10th, Get a American Dreamer shirt for FREE with any $30 purchase. Plus, you get FREE SHIPPING. 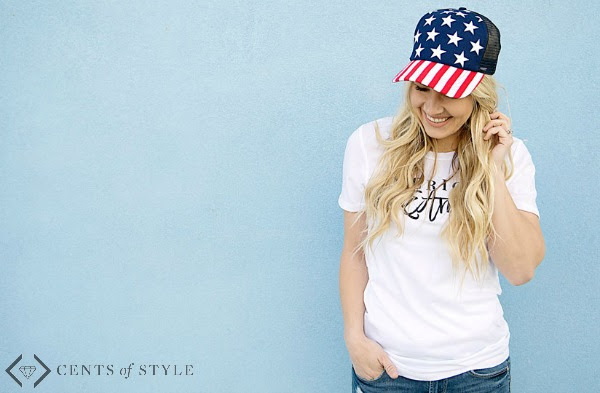 My Cents of Style Fashion Friday collection will be full of their favorite Americana products – which is perfect timing with the 4th of July coming up. 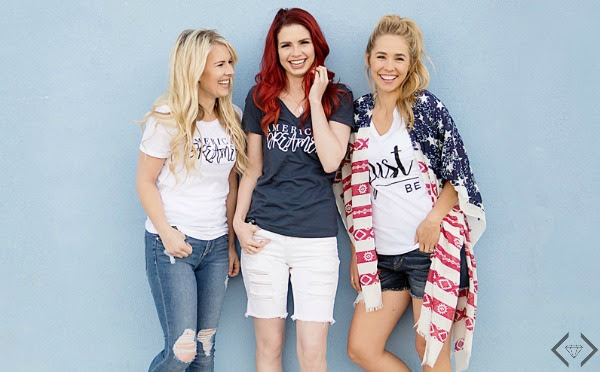 Fashion Friday Story – 6/10/16 – American Dreamer – FREE Shirt with any $30 purchase + FREE SHIPPING. 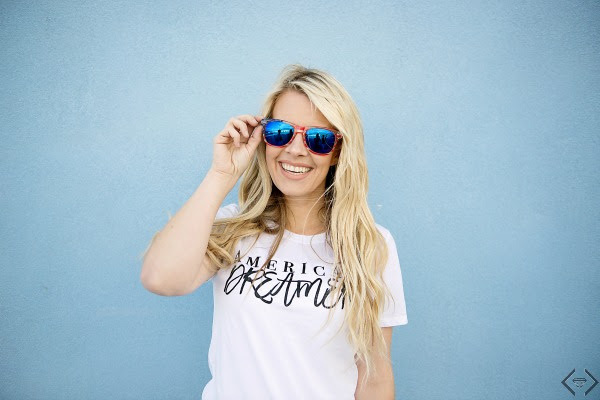 How are you an American Dreamer? How has it made you who you are? I’d love to hear your stories in the comments below! !